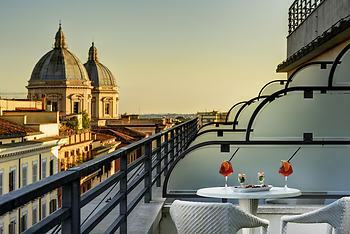 UNAHOTELS Decò Roma, Rome, Italy - Lowest Rate Guaranteed! A stay at UNAHOTELS Decò Roma places you in the heart of Rome, within a 10-minute walk of Via Nazionale and Teatro dell'Opera di Roma. This 4-star hotel is 0.7 mi (1.1 km) from Via Veneto and 0.3 mi (0.4 km) from Via Marsala.